Yuxin (YOU-shin) is a girl from China. She likes to play the piano and she became very good at it. She became so good that her family decided to send her to a famous music school called the Prayner Conservatory in Vienna, Austria. Austria is a long way from Yuxin’s home in China—more than 7,000 kilometers (4,000 miles)! 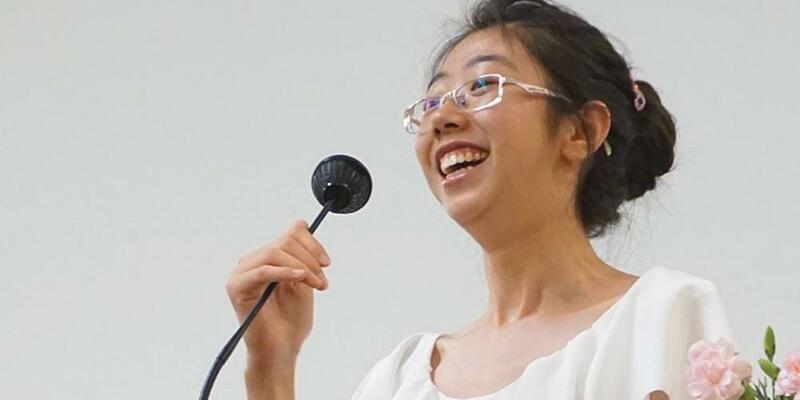 Her mother was worried that Yuxin might get homesick being so far away, so she encouraged her daughter to “Find the spirit of home” in Vienna, meaning that she should find a church where she could worship. Soon, Yuxin visited a Seventh-day Adventist church and talked with the pastor. “Maybe this is right,” she thought, but she wasn’t willing to become an Adventist yet. You see, Yuxin was eating pork, and wasn’t ready to give that up. But when she arrived in Vienna, she found the International Seventh-day Adventist Church on the internet and contacted Pastor Felix. The pastor picked up Yuxin from the metro train station and brought her to church. Yuxin was so excited to be at the Adventist church! She came to the vespers programs on Friday evenings, and church on Sabbath. It didn’t take long for Yuxin to feel at home in the Adventist church. “Everybody is so warm and friendly,” she said. Yuxin is one of many students from all over the world who have come to the International Adventist Church in Vienna. They like coming here because it is like a second home for them. More and more people have come to this church that meets in a very old building. They need a new and bigger place to worship. Part of our Thirteenth Sabbath Offering this quarter will help this church family to have a better building closer to the city center. Thank you for bringing your offerings this Thirteenth Sabbath so that we can help the Adventists in Vienna to have a new place to worship.